Hailing from Minnesota, Mark Stone & the Dirty Country Band originated in 2012 as a solo project by Mr. Stone himself. Since then, it has evolved into a full unit, comprised of Mark Stone (Guitar/Vocals), Todd Jameson (Bass), and Johnny Strutt (Drums). Mark Stone on the first 2 EPs wrote and played primarily all the instruments himself (with some help from some other fellow musicians), which received some critical acclaim. The song “Drink the Pain Away” was nominated for “Best Country Song” by I Love Music Awards. The success of the song took the band down to Austin, TX to record the album, “The Sequel” at Music Lane Studios. The band has been gigging regularly, putting out new music, and has performed at many notable venues and events across the country, such as SXSW (twice), The Red Fly (before their doors closed), Moondance Jamming Country Fest, amongst many others. The band was also chosen as 1 out of 8 bands (from over 1,000 entries) for the Hard Rock Rising Midwest Regional Battle of the Bands. 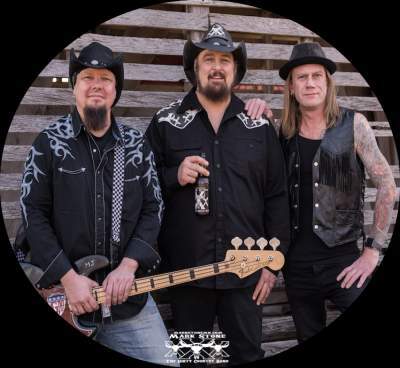 With the band fully lined up and ready to take the country by storm, Mark Stone and the Dirty Country Band are currently continuing their winning streak and have no intentions of slowing down anytime soon, or at all! The band released there newest EP “Trifecta” on April 1st, 2017. They are currently working on a new release “For Stories” to be released Spring of 2018.